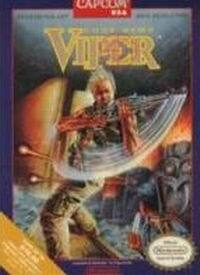 Codename Viper original NES Nintendo Game cartridge only - Cleaned Tested and Guaranteed to Work! Loved playing this game as a Kid and still love playing it today. This game could have been great with the gameplay and music, but it is so easy to die it will take me 3 months to beat. If you enjoy a challenge I highly recommend this game. 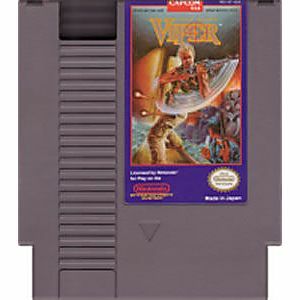 One of the best NES action games! 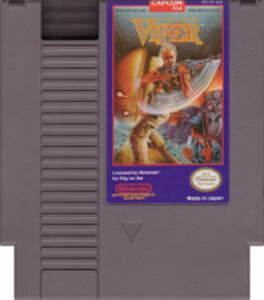 As a kid, Code Name: Viper was one of my favorite games! It has awesome music, good graphics, and fun gameplay. You play as a James Bond style hero rescuing hostages. The game features a mechanic where you approach doors that swing in the wall where hostages, weapons, or bonuses like extra lives or extra time might be. While you're in the wall, enemies can't get you. As you complete each level, you uncover more of a letter exposing who the real villain is. I played this game over and over as a kid, and I still enjoy playing it!